I looked at my six year old in the rearview mirror and couldn’t help grinning. He was asking the same sort of questions that I used to wonder about in Heaven. Will there be animals there? Will we drive in cars? What will we do? 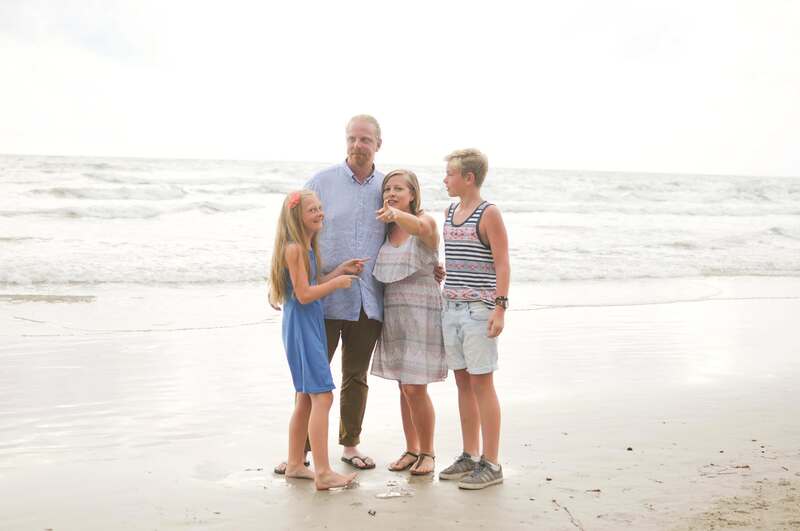 I can’t remember when I first introduced the topic of Heaven to my kids – it has always just been something we talked about, in the context of Bible verses we were reading, stories I was telling them, or conversations about God. The idea of Heaven has mostly been a comforting topic in our household. What do you do with a comment like that, as a Christian mom? I’ll tell you what I did. First, I took the incredibly obvious opportunity to remind my child of the Gospel. It doesn’t really matter if my child is comfortable with the idea of Heaven if she doesn’t repent and turn to Jesus to save them from their sin! Then, I asked, when we put our trust in Jesus to save us from our sin, what does He promise for us when we die? Eternal life with Him in Heaven. I reminded my child that dying doesn’t have to be a scary thing when we have trusted in Jesus to save us. We live as long and as well as we can here, and then we get to be with Him forever. That calmed her down, but as I thought more about it, I realized that the reason why it was comforting for her was because we had taken a lot of time talking about the character of God before we even got to the topic of Heaven. Which leads to my first tip. Start with the strong foundation of who God is. God is our Creator (Genesis 1:1). He is powerful, and sustains the entire universe by the word of His power (Hebrews 1:3). He is holy, righteous, and good (Revelation 15:4, Psalm 11:7, Psalm 34:8)). He never does what is wrong, only what is right. We know He always says what is true, so we can trust what He tells us about Heaven in the Bible (Psalm 33:4). He loves those whom He calls (1 John 4:10), and He has good things in store for us (Romans 8:28). After all, He sent His Son to die on the cross to save us! When kids have a right view of God, the potentially intimidating concept of Heaven becomes comforting. We may not know every answer about what Heaven will be like, but we know who God is. And He is good. Start there. Inevitably kids will start to have questions about the details of Heaven, and some of these questions are hard to answer, because we don’t know everything about what it will be like. The Bible doesn’t tell us all the specifics. This is what I do when the tricky questions come up. Focus on the things that we know. We know that Jesus said there are “many mansions” there (John 14:2). My kids like this concept, because houses are familiar, and if God makes us a house, it’s got to be amazing, right? We know that God will create a new Heaven and new Earth without the curse of sin (Revelation 21:1). What will that be like? Well, there will be no death, tears, crying, or pain (Revelation 21:4). All wrong things, all evil things, will be gone. There will be some animals there, since the Bible talks about the wolf laying down with the lamb (Isaiah 11:6), and Jesus and the saints riding on white horses (Revelation 19:11-14). We won’t sin anymore (Revelation 21:4, Romans 6:23). We will be rewarded there for our faithfulness to Christ (James 1:12, Matthew 25:21). We’ll be with everyone we love who has trusted in Jesus, all worshipping and serving God together (1 Thessalonians 4:17, Revelation 22:3). Most importantly, God will be there (Psalm 11:4), He will be our light (Revelation 22:5), and it’s going to be so good. When they ask questions that I don’t know the answer to, that’s what I say. I don’t immediately shut their ideas down, because the truth is, I don’t know everything about Heaven either. I admit when I don’t know something because the Bible doesn’t tell us, but I always emphasize to them that Heaven is going to be perfectly good, because God is perfectly good. 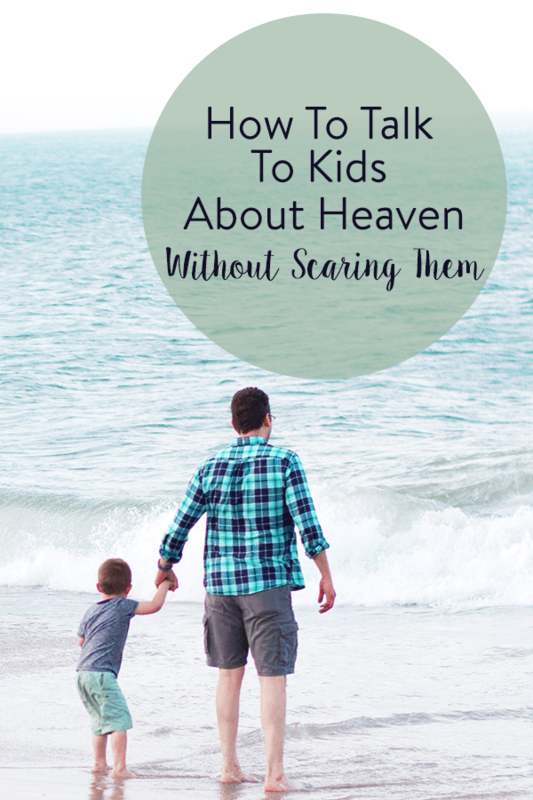 What if your child is still scared of the idea of Heaven? If your child is still struggling with a fear of the unknown surrounding the idea of Heaven, the only thing I can say is that this can be a process. We’ve talked pretty openly about Heaven from my first child’s birth, so my kids are already familiar and comfortable with the idea of Heaven being a good thing, even when we don’t know everything. But if you are starting when your child is a little older, it may take a little more time. You will have to put in the work. Learn about the character of God together. Talk about His goodness. Make the effort to emphasize what we know about Heaven when the opportunity arises naturally. (“Aren’t you glad we won’t have to deal with skinned knees anymore in Heaven?”) Look up and memorize Scriptures about these things. And most of all, pray for God to get a hold of your child’s heart, pray for their salvation, and then pray for God to give them a comfort and a longing for that day when they will see Him face to face.